Hello sweet chicks, happy Tuesday! 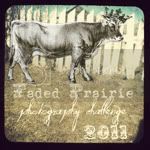 Today I am linking up with Kim Klassen's Texture Tuesday and sharing a few of my favorite textured photographs. I took these images last spring. It snowed all day yesterday. I can't tell you how anxious I am for spring chicks and flowers in the garden! Make sure to visit Kim's Beautiful blog and to visit the links for Texture Tuesday. So much beauty shared! I don't participate in many swaps but one that is a favorite of mine is Heather Rowley's Petite Inspiration Swap. You take a simple match box and cover it with vintage papers,fabric or wall paper and adorn it to the theme of the swap. The fun part is tucking in tiny vintage treasures. I love creating these tiny boxes. This last swap was the Vintage Flea Market Style Edition. Over 60 women participated in the swap! My swap partners were Michelle of Petite Michelle Louise and Kristin of Sweet Dreams Art Studio. Each of these sweet ladies took great care to create a box with lovely vintage detail. I was not disappointed. Take a look at the wonderful boxes and tiny treasures I received. The wonderful vintage style box that Michelle created. The tiny vintage treasures that were tucked inside the wonderful box Michelle created. Tiny trinkets- flea market style! The Lovely box that Kristen Pare created. The sweet treasures Kristin tucked inside our packages. Tiny flea market style tidbits to create with! Kristin created this pretty flower from vintage tidbits that she added to our packages. My LuLu wants to wear it in her hair! Thank you so much Kristin. I was in a mad dash to get my packages in the post to meet the deadline. I was not able to take a picture of the boxes I created. I borrowed this image from Michelle! You can see the tiny treasures I tucked inside by boxes by visiting Michelle and Kristin's blogs. To see some of the other boxes that were created for the Petite InspirationBox swap you can visit the Flickr site. Stop by Heather's sweet blog The Speckled Egg to see the boxes she created. She also has a lovely shop filled with treasures to create with! I have been without my computer for sometime and even now that it sits back on this old pine table of mine I am struggling to find the words to satisfy a post! It happens now and then...the words just don't seem to flow. The good thing is that I am finding so much to be inspired by. The simple beauty in the things around me! The wonderful good things I find shared by others. I found this beautiful image on Pinterest. I love ruffles but I have never seen them on a cake! Is this not the prettiest cake you have ever seen? Our neighborhood Walmart has had the prettiest ruffled roses available. I Love taking photographs of pretty blossoms and they bring a touch of spring indoors! A beautiful collection of textures created by the talented Kim Klassen. I had so much fun testing some of these wonderful textures for Kim. You can check them out at the Cafe'. If you have a passion for adding textures to your images- you will LOVE these! Amanda from Every Day Elements is hosting a giveaway for these lovely textures! This tiny wool bird was handcrafted by Julie Collings. So cute! I think a few of these sweet birds hanging on a branch would look SO darling in a babies room. You can visit Julie's wonderful blog to get all the details about Ella. Julie sent me the link for this sweet nest. I love it! It is on my list of artful projects. I think these spring nests would be so pretty on a plate setting for Easter. You can find the tutorial to make the nests at Treasures From The Heart Gifts. I found this beautiful journal page from Shiela of Halo Hill. I think it is wonderful and it has inspired me to create my own art journal. I love this painting that I purchased from Katie Kendrick. Katie is a sweet spirit and I am so inspired by the art she teaches. She will be taking some time off her year long sabatical to teach a class in Malibu California. I can't imagine anything more wonderful than painting by the beautiful sea. To learn more about Katie's class you can read more here at Artinfusio. If you feel compelled to paint and don't know where to start, this is the class to take. Come paint with me by the sea! Another sweet link that Julie Shared with me is from the beautiful blog of Anneke. I found this paper beauty there. The original blog it came was Idemakeriet, a lovely Scandanavian blog filled with inspiration. I love creating things from vintage papers. This little butterfly is sweet and would be so simple to make. How wonderful is it that there are so many good things available to us that lead to inspiration and rekindle our inner spirits that help us learn and grow. I am SO thankful for this sweet gift. It's funny the things we remember from our childhood days. Memories from my childhood are scarce and cloudy at best. Many things I just choose to forget. But then there are those memories that are triggered by something that I see or smell that conjure up days from long gone by. Layers unearthed from a life lived. Flowers have always brought back memories of my days of youth. I vividly remember the first time I plucked a pretty purple Pansy from someone's yard. I remember thinking how incredibly beauitful that tiny bud of color was. Hydrangea flowers have always triggerd sweet memories for me. I remember a white cottage house with a picket fence covered with huge blossoms of Hydrangea. A sweet old lady tended that cottage garden. She always gifted me with a stem or two! I remember being mesmerized by the beauty of that cottage home and dreaming of having an enchanted place just like it with a garden fenced with those beautiful flowers that are so deep rooted in my memory! Sweet memories of childhood. Do you have one? Thank you for the kind comments that are always left my way. I can't tell you how much I appreciate them. Have a beautiful day. Mr Snickers And Pretty Things! These winter days seem to be passing quickly. I can hardly believe that February has come and gone and here it is March already! Maybe it is wishful thinking but there seems to be a sense of warmth tapping on the door- hopefully spring is on it's way! Something else has made it's way to our home. We found this little guy wandering our backyard. We live in a small neighborhood on the edge of a wooded hollow and it is not uncommon for wildlife to come into our yard, but nothing quite as tame as this! Somebody has left him to the wild! "Mr. we are not having anymore pets" (the big boss) is opposed to keeping him- but I ask you, how can anyone resist a sweet face such as this? LuLu has named him Mr.Snickers! Did I mention he uses a litter box! Mr. Snickers is cute but I want to share a little pretty with you! I am always in awe of the goodness I find in the world of blog. So many inspiring women who are kind and generous, who are SO willing to share their talents and the things they are passionate about. The lovely and creative Cherie Wilson is such a person. Cherie hosted a sweet giveaway on her blog and I was the lucky girl to win her prize! It came so beautifully wrapped! This is the pretty bracelet tucked inside! Cherie created the bracelet with bits of vintage treasures. Thank you Cherie- I love it! Stop by and visit Cherie's sweet blog Humble Pie Designs.